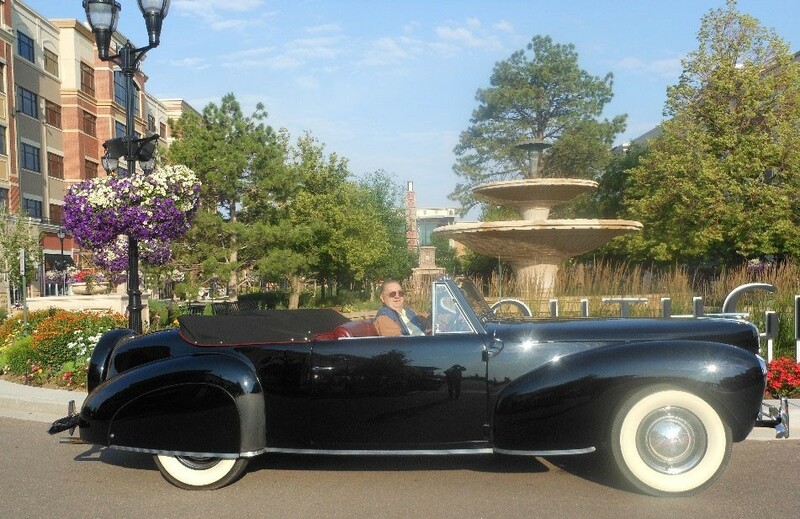 You may have read on my website that told how I have won trophies for the restoration of my 1940 Lincoln Zephyr Continental Cabriolet. So that makes me some kind of genius restorer right up there with Jay Leno, doesn’t it? Since you have seen fit to follow me on my website, I will let you in on a secret that is known to all car restorers. I did not do the restoration as much as I oversaw it being done. When I added up the tally it was a 29/29 restoration. You see I was like the symphony conductor. I put together the talented participants and saw that the job was done right. I had to know what “right” consisted of just like a conductor has to know how each instrument must sound when he listens to the orchestra. I also had to do some of the work myself just as a conductor might play the piano while conducting the orchestra. So this 29/29 number? What is that all about? Well when I was asked to do a seminar for the Early Ford V8 Club I sat down and went through my receipts and memory to put together a list of all the people and businesses that made a contribution, whether it was significant or maybe minor (like when the timpanist adjusts the tension and pitch on the drums) to the restoration of the car. Low and behold I came up with 29 people who did some tasks and 29 vendors who contributed specialized services and parts. Now, that’s what I call a Team. The restoration starts with the total disassembly of the car right down to the bare body and frame. 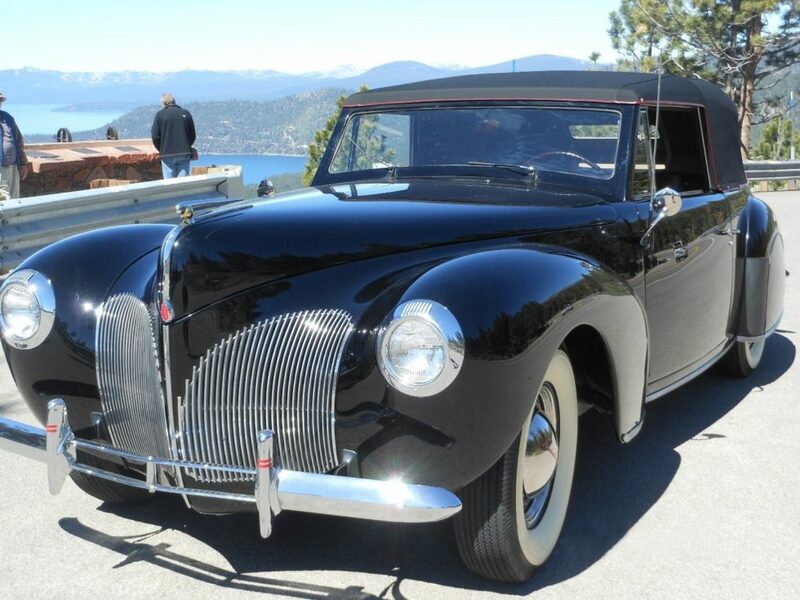 This is often called a “body off restoration” or a “nut and bolt restoration.” By the way if someone tells you they did a “body off” restoration of this era Lincoln smile politely and walk away as the body is welded solid to the frame and cannot be separated. All the separated parts and assemblies are inspected repaired or replaced. Just as the conductor wants to audition the musicians I need to inspect the work that is to be done by specialists to determine their skill level. Media blasting is the “Ride of the Valkyries.” Using a huge air compressor a masked technician in a suit of armor sprays sand or sharp plastic particles over the body surfaces to remove the old paint and accumulated corrosion from all the metal parts. The car is now like a soloist learning the score. All flaws are uncovered and must be corrected. The next step is body work which can be compared to the “Beer Barrel Polka”. It can be fast and noisy but also requires some delicacy and invention. An ex con who learned the craft in prison did most of that work. Spray painting the body and sheet metal is “The William Tell Overture.” It starts off gentle and slow with great attention to fine detail and ends in a rollicking blast of colorful paint that tickles the senses. Upholstery on the other hand is Beethoven’s “Pastoral Symphony”. It is peaceful and very artistic with subtle elements that only the trained eye can truly appreciate. The material is very specialized and must be exact in color and fabrication. The final result reflects the style and skill of the upholsterer. Then there are the machinists and mechanics who inspect, repair and fabricate the mechanical assemblies. Tolerances, finishes and assembly procedures all become paramount just like the craftsmen who make the clarinet and the trombone. If done right you get a beautiful sound if done wrong you have an expensive failure. When you get ahold of a car this old it for sure has been compromised by a long history of use and abuse. Some parts are missing and some are beyond repair. It often seems that you are searching for the Holy Grail. Take something as simple as the radio antenna. I have been looking for one for ten years with no success. Not surprising when you think that you are looking for a part for a car of which only 350 were made some 77 years ago. Might have better luck looking for a hidden Stradivarius violin. Oh yes if you find that rare part you can be sure that it will be expensive. The people. Ah yes this people. This is not a job for robotics as the tasks are individual and non-repetitive. A variety of skills levels are required. My grandson, Markus Maier, his Dad Jürgen and his school buddy Julian helped pull out the engine. The machined engine was assembled by Russ Newnes who is an aerospace level machinist and has built turbo Offy engines for the Indianapolis 500 race. Quite a dynamic range of talents but each making their special contribution. My final contribution was to rebuild the carburation and ignition system. This is like the conductor waving his baton to synchronize the musicians so that the resulting sound is coherent and artistic. The engine and running gear do what they do and once assembled properly there is nothing more that can be done with them. They will perform to specification. However the ignition system and carburation have to be carefully adjusted paying attention to minute details. The engine must start easily at all temperatures and idle smoothly. It must not waste gas and has to respond fully when maximum power is required. It requires some skill and special knowledge to do the tasks required to make all this happen. The conductor is rewarded with applause from an appreciative audience while I am rewarded with a nice top down trouble free wind in the hair drive on a warm summer evening. So similar to the opening curtain of a concert the finished restoration is taken to a car show to be judged by experts and admired by spectators. Some will point out minute flaws that subtract from perfection while others will stand back and bask in the nostalgic glory of the resurrected vehicle. At the end of the concert, the conductor asks the orchestra to arise and be recognized for their contribution to the presentation. In a similar manner I acknowledge the contribution of my 29/29 team members. In my next blog, I will describe how I relate writing a book to my past profession of designing Instruments for use by the medical profession. The product is totally different but the thought process is the same. Just like the car restoration you will learn about the team that is required if you are to be successful. Until then, I hope that it is top down weather for you, and don’t forget to order my books! 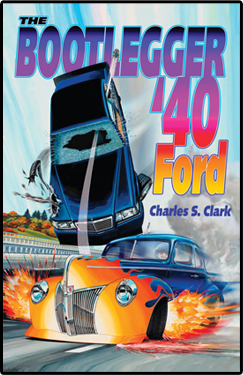 This article was published in Bootlegger Book Blog and tagged car restoration, hot rodders, Lincoln Zephyr Continental Cabriolet.